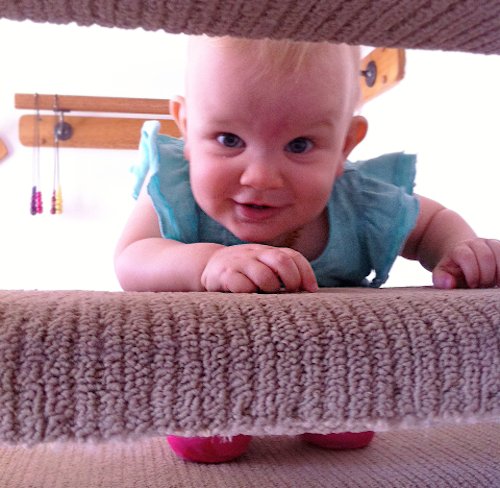 Last week Romy discovered the stairs, and this week it has been her favourite thing. Don't worry guys, we are going to get gates for the stairs, we just held off because we weren't sure if our next house would have stairs. It is on the top of my to-do list for next week though. Romy knows that it is naughty to climb the stairs without us watching her close by, so she waits until we notice her and she peeks through the gaps in the stairs to see when we're coming. Our little Bear is very cheeky! See You Next Year March!